Ticia is an innovative system that combines practical timeless design with incredible variation. From the starting point of a growing child’s even changing needs but also considering the parental needs, we have developed a bed, which unites functionality, flexibility, the highest quality and aesthetics. The same Ticia can be used as a cradle, a small child bed and later on as an adult bed. 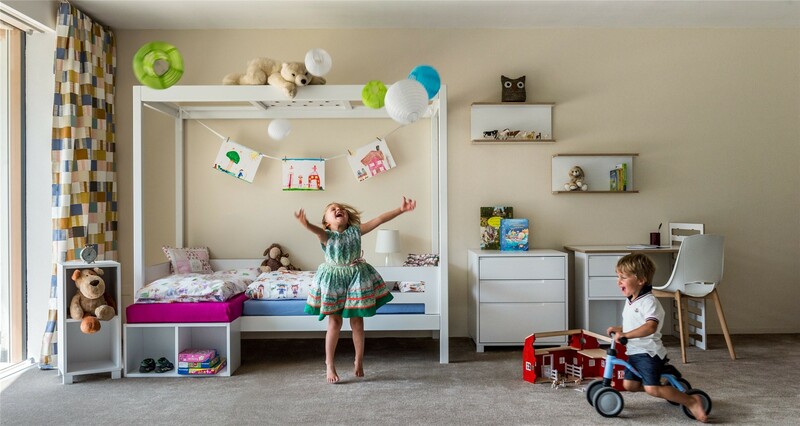 This modular system offers room right from the beginning for one child, for two children of different ages and even for twins. Each component is used for a different purpose and function, in various constellations of space, thus allowing you to save new pieces of furniture. Extreme stability, easy handling and flexibility provide valuable pedagogical experience and offer the child a naturally safe place for healthy development. A bed that grows with the child from baby cradle to adult bed. Structure solid birch, free of harmful substances. Surface treatment suitable for children. You are looking for a bed that accompanied her child growth? The “Complojer” company was founded by Davide Complojer and developed into a modern carpentry business. Davide is a Master Carpenter and interior designer and has specialised in high level interior architecture. The company is located in the heart of South Tyrol where wood craftsmanship has been part of tradition for generations. The idea for a bed which can grow with children came about when Davide was looking for the optimal children’s bed for his own children. In cooperation with an educational scientist and designer the concept “children’s bed” has grown. Ticia follows a clear timeless line which is functional and creates space. A bed, which grows with children and allows parents to be creative. Warning! Please fill in all required fields and try again.